Wear has been engineered and designed to improve the quality of one on one conversations, while aiding in reducing extraneous noise. 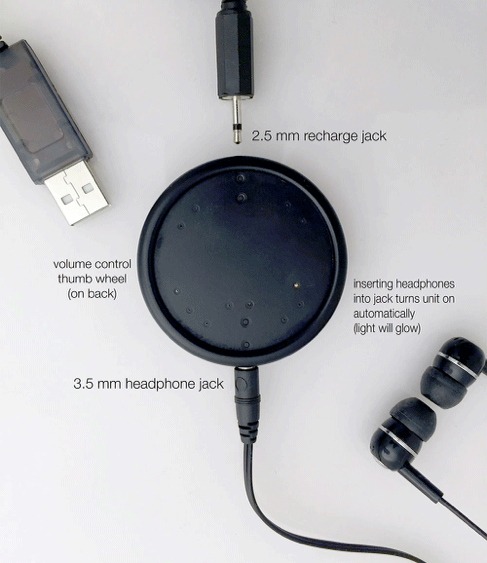 Similar to listening to your ipod, users connect their personal headphones into the Wear. The microphone creates a directional sound lobe 5-6 feet in front of the user. 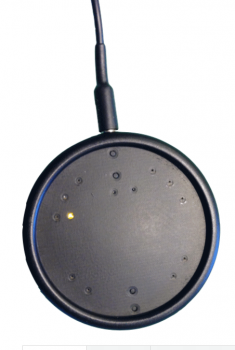 The Wear amplifies sound directly in the circular zone in front of the user, while reducing noise outside of the zone. Wear is also effective in improving hearing when used with bone conduction headsets to help those with ear drum related hearing loss. The Wear is a Revolutionary Assistive Listening Device (ALD), designed to enable hearing impaired or people with hearing loss to achieve a high quality hearing in noisy environments such as family gatherings, restaurants, or meetings. The Wear's proprietary and patent pending technology amplifies direct sound only in a circular zone of up to 6 feet, while reducing noise beyond the zone. The product development was led by Prof. Eric Rosenthal from the Interactive Telecommunications Program at NYU, an Emi award winner for his work as technical project manager for the audio-video systems engineering of ABC's coverage of the 1980 Winter Olympics in Lake Placid, New York. Previously VP of Advanced Technology Research (ATR) at Walt Disney Imagineering Research and Development, Inc.
WHAT DOES THE WEAR SOUND LIKE? For those with ear drum related hearing loss, Wear can be very effective when used with bone conduction headsets. The Wear is most effective when it is uncovered. It can work under a shirt or jacket, although you might pick up the sound of the fabric rubbing against the device. Wear is 2 inches in diameter by 1/4″ deep. It weighs 1oz (28grams) including the battery. No latency (delay), no lip syncing issues. Wear shuts off when the headphone plug is removed to extend battery time. Wear comes with a USB charger that will charge the internal battery. A full charge will provide about a full day of operation. Wear uses an easy to put on magnetic clip. The case also accepts a lanyard or neck chain. If you have a pacemaker do not wear the unit. The case may be cleaned with a damp washcloth. Wear is not waterproof. Do not immerse in water.